Volunteer | Hannah's Hands International, Inc.
Hannah’s Hands, Int’l, is dedicated to sharing the Gospel of Jesus Christ while demonstrating the Love of Jesus Christ to El Salvador. We leverage Short Term Missions Teams to expand the Gospel and encourage a vision for full-time missions by providing the opportunity for potential future missionaries to experience missions first-hand in El Salvador. 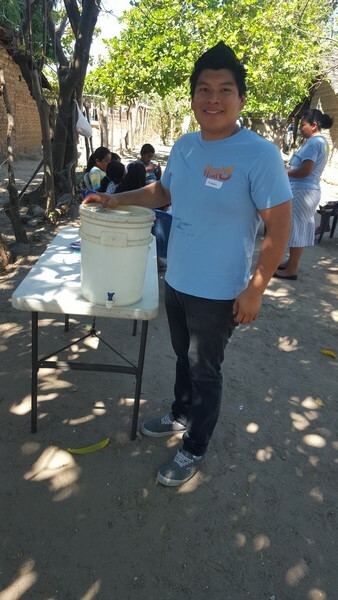 Short Term Missions: Consist of one- to two-week teams which assist in ministry outreach in San Salvador and surrounding areas. A variety of ministries can be used to reach the communities for Christ. Ministering to children in the villages through Bible and English classes allows an opportunity to build Christ-centered relationships. Holding soccer clinics and sharing the Gospel through drama and music are other tools that work well to establish these relationships. Missionary Internships: Four- to twelve-week internship programs are available for those who are interested in full-time missions. This is a structured program and requires course work completion. The internship may include assisting in clinics (home health visits), teaching or helping with Vacation Bible School/Bible classes, discipling youth groups or individuals, developing/teaching youth life skills, and working in community outreach events. Short Term Missions Teams can consist of families, Sunday School classes, youth groups with adult leaders, women’s groups, home and church groups.